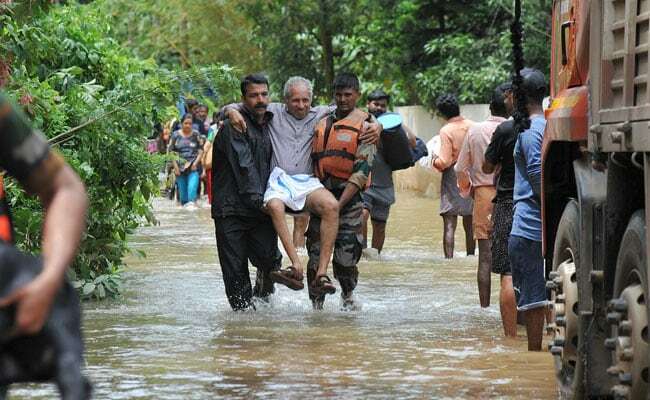 Fifty members of the Kerala Social Centre (KSC), an organisation of expatriates in the UAE, have pledged to donate their one month's salary to the Kerala Chief Minister's Disaster Relief Fund (CMDRF) to help people in the flood-ravaged state. The initiative was in response to an help appeal made by Chief Minister Pinarayi Vijayan to all Keralites on a Facebook post last month, KSC General Secretary Bijith Kumar told Gulf News on Tuesday. The KSC's managing committee meeting decided that all its 16 members will contribute their one month's salary, he said. Thirty-six other members also made a similar commitment, Mr Kumar said. They included professionals and mid-and-low level employees working in various sectors in the UAE capital. The KSC and its affiliate organisation, Shakthi Theatres, have already contributed Rs 2 million to the Chief Minister's Fund, said A.K. Beeran Kutty, President of the KSC. Kutty and his colleagues directly handed over the cheques to senior Kerala ministers last week at Thiruvananthapuram, the report said. He said the centre had also sent 6 tonnes of relief goods for the flood victims. The 46-year-old KSC is a prominent sociocultural forum in Abu Dhabi. One of the five Indian community organisations in the capital registered with the UAE Ministry of Community Development, the KSC caters to around 4,500 people, including around 1,500 members and their kin.